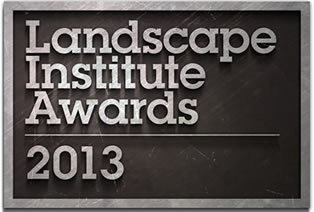 The Landscape Institute Awards 2013 are now open for registration. Full details on how to register as a Chartered Member, Registered Practice or student are given below. Student entrants must register before submitting their dissertations and portfolios for the Awards. The submission date is Friday 12 July and it is highly recommended you register at least a week before the submission date so you can be sent your Entry Form and unique Entry Reference Number, which must be included with your submission. It is free to enter the Student Awards. The Landscape Institute Awards Ceremony is a lunchtime event that will take place on 21 November 2013 at a Central London venue. The event is hosted by Wayne Hemingway MBE. Full booking details will be available shortly.